Thomas Ford is Chief Marketing Officer of Soundrop where he leads all marketing and sales for Show.co, the company’s flagship marketing toolkit for artists and labels. 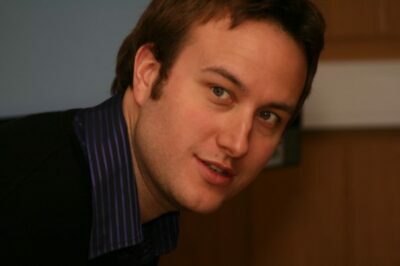 Prior to joining Soundrop, Thomas led U.S. PR and Marketing for Opera Software’s consumer web browsers, Opera Desktop and Opera Mini. Thomas explained how Show.co began and how it works for musicians and labels trying to market their music and build their fan bases. We also talked about building playlists and why playlist conversion is important for artists and others trying to establish themselves in the music business. Thanks so much for taking some time to chat, Thomas. How did you get your start in the music business? I actually didn’t start off in the music industry. I started in the tech industry working for a company called Opera. They make a pretty widely-used web browser. I didn’t know much about the music industry. But there were some friends of mine from Opera who were working on this app for Spotify called Soundrop. Soundrop ended up being one of the first apps to launch for Spotify, alongside Billboard and Rolling Stone. Even before it launched, it sounded like a really fun project, so I started helping them through the launch, and then joined the company. I suddenly found myself in the music industry. Thank you. I had to learn a lot during the launch, but it was a fun time. We really started to grow the Soundrop app as a way for artists and fans to come together and have a social experience around music. In the first quarter after launch, we had eight artist’s events. By the time Spotify closed the app finder, and the Soundrop app shut down, we were doing easily 8-10 artist’s events each week. There was dramatic growth. However, we knew that Spotify was planning to change its app strategy, so we also knew that meant we needed to change our strategy, since apps were going away. So, we launched Show.co. What we wanted to do with that was to take all the things we learned with Soundrop and the things people want to do around fan activations and fan engagement and built a marketing tool to do all that. What were some of the problems you saw, and how your products have been a solution? One of the first problems we saw was that when artists were marketing their music, they were sharing a lot of links to stores. They were sharing iTunes links, smart urls and a lot of links that go right into the sales funnel. And these links are good for fans who know they are going to buy. If I am a fan and see an artist I like that has a new track or a new album out and I click the link, it’s because I want to buy. But if I’ve never heard that artist before, or if I haven’t even heard the new material, maybe I need to have my hand held a bit and have someone guide me through to a point of purchase. As an artist, you need to activate and engage these people first before pulling them into the sales funnel. That’s where Show.co came in. We wanted to create these beautiful, yet simple landing pages, embedded widgets and Twitter cards that were designed to engage users first. Once you have them engaged, then you can go ahead and try to sell them something. If I’ve never heard of an artist before, and I suddenly see a link that takes me into iTunes or some other place where I am supposed to buy their product, if I don’t know anything about them, I am not going to buy the music. We wanted to create a different way to engage fans. From there, we expanded and started creating more ways to activate the audience. We started with campaigns around YouTube and SoundCloud and then uploaded content that we would stream: “secure audio.” The main idea is that anyone can press a play button and start to get content immediately. This is important no matter which tool you are using to market your music because if someone doesn’t have Spotify, that link is of no use to them. We wanted to make sure that everyone who came across a Show.co link could engage with it in some way. The aforementioned things were some of our first campaigns – campaigns where the content comes first, and then we can engage a user to take an action we want. After that, we started adding campaigns where the user had to do something first – an action that targeted some of the more engaged members of an artist’s fan base. For instance, we have an email for download campaign; in order to get the file, a user has to part with their email address. We also have a social unlock campaign, where in order to do something else, you need to follow an artist on Spotify, follow a playlist or subscriber to their YouTube channel. The user has to take an action before they get something. Between the two types of campaigns, we can service the entire funnel that an artist might have their fans go through, from the initial moment of discovery, to the moment when they are ready to buy something from an artist. And you’ve managed to juggle and keep track of all the different ways of getting to a fan – subscribing to Spotify channels, playlists, YouTube channels, etc. Absolutely. One of our goals is to get artists and marketers to think about the key activation they want their fans to take. As a marketer myself, I’m very behind throwing everything in there and diversify. I want people to “like” my Facebook page, follow me on Twitter, follow me on Spotify. But the reality is that the more things you ask people to do, the less likely they are to complete them. So, whether you are using Show.co or something else, you need to keep that in mind. Of course. People are crippled by choice, and fewer calls to action tend to see higher success rates. Exactly. That’s why the Google homepage is just a search field. The most successful marketing campaigns are those that simplify to the one key action you want a user to take. That’s the other hallmark of our campaigns: They’re very straightforward and simple. That’s why we see really high activation rates. Our email and download campaigns have activation rates as high as 80 percent, meaning 80-percent of the people complete the action we ask them to take. The campaigns have really great conversion rates, actually. If, as an artist, you get your SoundCloud link up on a blog somewhere, that’s excellent, and a good thing for you as an artist. But if you can also ask people for their email addresses as they are listening to that link, you’re going to capture more value than if you just put up the link and do nothing else, even if only five or ten percent of the people end up giving up their email addresses. What we’re trying to do is help people capture value from all the different traffic drivers. When you capture people, do they have to go to a different link, or do people stay on the landing pages or wherever these widgets are embedded? They stay in one place. We want our campaigns to adapt to where the users are. When we had Soundrop, we had many millions of visits, and we saw very clearly that the more clicks it took someone to get into a Soundrop room, the more they would drop off. We carried this knowledge over when we created Show.co. For example, with the secure audio campaign: If you post a link on Twitter what you actually get is a rich Twitter card. The secure audio campaign, SoundCloud and Twitter campaigns all work the same way. So, a user immediately sees a tweet right in the timeline and see a card that allows them to click a “play” button. So, users are instantly listening to an artist’s music and then also seeing a conversion card with a call to action: “If you like what you’re listening to, give me your email address.” That way, you don’t take a listener away from what they are doing. If I’m on Twitter and browsing a timeline, I don’t want to click out of Twitter. If I can listen to your music without leaving Twitter, then have an immediate opportunity to engage with you, it will be much easier for me than having to go to an external site. Here is a question that a lot of artists have related to the action wall you have set up. There may be some concern among artists looking into your service that they might not get as many listens on their different channels, because they have that action wall and fear any impediment to getting directly to them and their music. Can you speak to that? Absolutely. That’s why we have different types of campaigns. You can actually make five campaigns, and three of them are designed to address the exact issue you just mentioned. When I come across your content, I want to click a button and hear it instantly. I don’t want to have to take an action or do anything that disrupts the flow of what I’m doing. If a piece of content I want to know about comes my way, then I have the option to take an action. Our campaigns do a great job for artists, because we have a campaign designed around YouTube, a campaign around SoundCloud and a campaign around secure content that we stream directly. With all three of these campaigns, the only thing a user sees first is a giant play button. That’s the only thing the user can do to engage. In a way, it removes all of the friction. If I’ve never heard of you as an artist, I’m probably not going to follow you on Spotify in order to listen to your content. Those campaigns don’t really work for an artist who is just developing a fan base. Many more people are listening to music on YouTube than on Spotify, which is why we have a YouTube campaign. And 100-percent of the people who engage with that campaign can click a play button and engage with your music. That is true for the YouTube, SoundCloud and secure audio campaigns we offer: 100-percent of the people can click a play button and hear content. And how do you guys interact with Spotify now? Obviously, having information captured there would be pretty amazing given the prevalence of streaming. Absolutely. Spotify is critical today if you are an artist. I can offer you an example of something an artist has done through Spotify: Demi Lovato was putting together a contest to build a Spotify playlist. Users who contributed to the playlist could be entered for a chance to meet Demi Lovato in London. They used our secure audio campaign and tweeted out a teaser for the contest. The great thig was, it appeared in people’s Twitter feeds, and everyone could click the “play” button. Right when they did this, they were served a conversion card telling them about the contest. But it could’ve just as easily said, “If you like what you’re listening to, follow me on Spotify.” Or “if you want to stay up to date with me and learn about my tour, send me your email address.” So, you incentivize fans. And that’s what this whole thing is about. Once people are listening to an artist’s music, if they like what they’re hearing, we absolutely want to make sure they have a way they can engage with the artist again. We want them to send their email addresses and listen to them on Spotify. I want to ask you about the email address capture. A lot of the early social media services, post MySpace would harvest email addresses to use for their own purposes and make them somewhat difficult for the artists to export for their own use. Obviously your tool, for musicians is superior to MailChimp or some other similar service. But is your data secure and also movable? We’re a Norwegian company, so we fall under EU law for data privacy. I can’t necessarily speak to other music marketing tools you might use, but I know as a company, we are not data owners. We actually don’t own your data. We have the right to process your data. That means we’re not going to take your emails and suddenly sell them to other parties. We also don’t even see the data. Our system has a separate and siloed analytics database for every organization using our service. So, as someone working at Show.co, I can’t go in and easily access the email addresses from someone’s campaign. We have it so secure that our own people can’t get free-reign access to it. In terms of exporting, every email we collect gets put into a .csv (common separated values) file that can be easily exported into a mail client of the user’s choice. It comes out in a universal file. This also means that even if you are using the paid tier of Show.co and decide to drop down to the free version, you will still have all your email addresses available to you. Along those same lines, the only time campaigns stop running on Show.co is when you as a user decide to unpublish them. We really have tried to make it as artist friendly as possible. We’ve talked about some ways the Show.co platform is really valuable for artists. You also have a playlist tool that allows a playlist to go to multiple outlets. It’s more of a tool that labels would find valuable. It can be valuable to artists, but I think it’s particularly faluable to the major labels. When we had Soundrop,you could create a Soundrop room, and it would create a playlist on Spotify, SoundCloud, Deezer and the Web. So people could listen to it wherever they preferred to listen to music and talk to each other. That was the idea when we started to work on Soundrop playlists. Because, when you invest all this time and energy into having a great Spotify playlist, it would be nice if that effort would carry over to different services. And then we’ve started building tools to help create more Spotify playlists. Because, that’s where the effort is going for a lot of music on Spotify right now. So, you shouldn’t have just one or two playlists as a label; you should have 1,000 -2,000 playlists and take advantage of people searching for content on this platform. I may be the only person in the world who listens to 1980s calypso music, for example. But if I can find a playlist that does that, I’m probably going to listen to that and generate streams. Of course, a lot of creating playlists as a smaller artist or label is about riding the coat tails of celebrity artists making similar music and trying to gain the favor of their fan bases. Are there intelligent ways of finding out what the general search queries are other than Google’s AdWords? Are there ways artists can search to find out which keywords will bring people to their music? I often advise artists I work with to build playlists around a theme, but they often need to know what people are searching for who would like their music in order to develop the best themes. That is a great question, and I wish I had a great answer. To be honest, I don’t know. We know that the Spotify algorithm looks at the content of the playlist and artists’ names. Actually, we’ve been told conflicting things: Some people have told us that it weights more heavily if you have a description of the artist, and others have told us this is not true. So, it sounds like it’s as much of a mystery as the first Google search algorithm, which is why people were keyword stuffing. I think, in general, the best results we’ve seen is when we title our playlists around the genre and call them “top tracks.” We didn’t try to gain an algorithm. We just said, “If people are listening to great music around pop and see something called ‘pop top tracks,’ they might investigate it.” We haven’t spent a great deal of time trying to gain the system. It’s been about us thinking about what we, as individual users would want to click on and look at. I think that’s still the best advice: Make a playlist that’s based on something you really believe in that would make you click. If it would make you click, it would probably make someone else click too. Above and beyond labels, I think individual artists doing the type of coat-tailing really works. How do you manage to pull the correct videos out of the playlists to populate the correct categories? So, for example, how do you make sure that the live versions of songs get categorized as live, etc.? That seems like a really hard job. It is. And we worked really hard on that. Spotify is great, because you have ISRCs, so I know very clearly what each track is. The problem with YouTube is it doesn’t display this information in the APIs. We spent a lot of time creating a sophisticated algorithm that determines that the right YouTube video matches the right track on Spotify. It considers a number of factors. We use a lot of different things as signals to match up the content. The algorithm uses heuristics and a little dab of machine learning. I don’t want to call it “AI,” but it’s quite sophisticated and took quite a bit of effort to get it in really good shape. Right now, depending on the list and if it is electronic, underground, hip-hop or features a lot of different artists, we’re down to about 96-percent matching. When we get up to more recognizable playlists, like a pop list or something like that, we get about 99-percent matching. I think our system is pretty solid. We’re not getting a lot of user generated content (UGC) in the list. It’s mostly the official videos that come directly from the artist or from the labels. Here’s a broad question: Of the people using your service and the people you’ve observed while building your service, what are some best practices for growing a playlist in a way that will gain attention? I think the first rule is, try to drive as much traffic as you can to a playlist. If, for instance, you want to launch a track and get people listening to it in Spotify, you should put that track in a playlist and then drive traffic to the playlist itself. We see a lot of people that are marketing an album or a new track in Spotify and drive traffic just to the single or just to the track. If we think about this as a game of engagement or attention, you’ve got my attention: I’ve streamed the single. But if you want people to go beyond that and really engage, you need to drive people to a playlist so they can keep listening to music, and they will probably stream another one of your tracks a little further down in the list. Maybe they are going to absolutely love your playlist and your curation/taste in music. So, they’re going to follow that playlist and keep in touch with you. The other thing is, with Show.co, we allow you to have the “Spotify follow” action. And by all means, you should be asking people to follow a playlist. Do you think it’s more valuable to have someone following your playlist than to have them following you as an artist? Well, it’s interesting. We don’t have conclusive evidence on this yet, but the data seems to suggest that people are more willing to follow a playlist than an artist’s profile. It may be that they see more value in following the playlist, because they aren’t just going to get information about one artist; they’re going to hear a lot of music from different artists while getting additional information about this one artist. I think those of us in the music industry have the tendency to build things that will be for people like us. If I build something, I want to make it for someone like me. There are some people who will want to go deep into the back catalog of one artist, but 90-percent of music listeners in the world are people who put music on as background. They’re not the same kind of active listeners. If we think about this being how a majority of music consumers out there are, then I think we can see that an artist having people follow one of their playlists is a lot more valuable than having them follow their artist’s profile. The other thing is, any updates to a playlist will trigger notifications to users that follow that playlist. If you follow an artist on Spotify, you will only get updated when that artist releases something new. So, if you are an artist with a great playlist that a lot of people follow, you can have a better ongoing connection to your fans than if you just have a lot of people who follow your profile. Do you have any advice for artists who are trying to get their music on more established/visible playlists, on Spotify or elsewhere? It’s very tricky right now to figure out how to do that in a consistent way. The first thing you should do as an artist is to go through Spotify in your genre and look at the big playlists that are there. If the playlist is owned by Spotify, and you don’t have a solid direct connection, it’s going to be tricky. And then the majors have also invested quite a lot into building up playlist brands. These high-profile playlists are very difficult to get into because they are run by major labels who have a very vested interest in the content that goes into them. But, you can find tastemakers inside Spotify that you can get in with. Getting in with them is really just about the rules of Relationship Building 101. You can find tastemakers with popular lists that are consistently updated. And then do you contact them within the system with a song you think they would enjoy? Spotify actually just changed something related to this: You and another user have to follow each other in order to message. So, in order to contact these tastemakers, you will sometimes have to do some detective work and see if they have a user profile or a website. And from there, it’s just about building a relationship. We get pitches a lot from people wanting to add tracks to our playlists. We see some people who send us boilerplate, template-style press releases about our tracks. While this is certainly easier for the artist to put together, I’d rather get something that shows me someone has been thoughtfully listening to the playlist they are submitting to. For example, “I’ve been listening to your hip-hop playlist, and I like it. I’d love for you to check out this track and think about adding it.” I think that kind of a soft-sell approach works much better than an impersonal press release or sales email. Your best way in is to go after individual tastemakers who are still actively updating their playlists. That’s another issue: A lot of playlists are now huge because they were started at the beginning of Spotify. And the owners haven’t updated in a long time, and they are huge, but they don’t have a lot of current engagement. I think if you’re seeing a playlist early on in your genre section, it’s probably pretty fresh. You don’t want to waste time reaching out. There are two ways to look at playlists: Some people see playlists as the new radio. But we see playlists as the new album or compilation and products that should be owned by someone. They need an active approach. That being said, if you’re an artist trying to break into the industry, I think you need to use playlists as radio and promotion. To learn more about Thomas Ford and the work he does with Show.co, visit the Show.co website.